Writing copy these days is asking you to walk a very fine line. You want to write copy that will help readers find you, and that they’ll find entertaining. At the same time, you want to write copy that will get you noticed by Google. How do you get copy that can do both? Here are the best tips to help you write the best SEO copy possible. In the past, keyword density was the most important thing about website copy. Nowadays though, keyword stuffing is actually penalized by Google. It can also make reading your copy a real chore for readers, too. The key is to use them where it makes sense to in the text. There are tools you can use to help you use keywords carefully. Small SEO Tools have a useful keyword density checker, and Wordstream have a keyword tool that helps you pick the right ones. 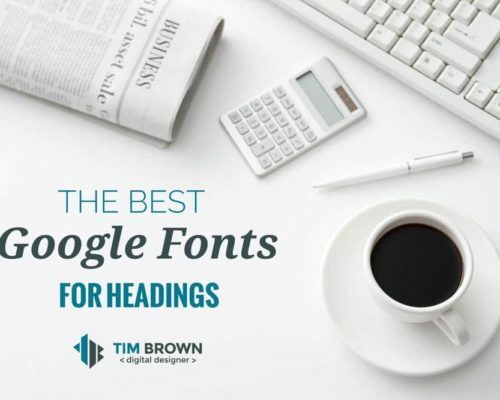 Longer posts are often seen as more favorable by Google. This is because a longer post is more likely to be one that’s been researched and thought about before it was written. The key to writing good copy is to write longer, in depth post that offers something new to your audience. The more you do this, the better your rankings will be. It’s no good making changes to your copywriting strategy if you don’t know if it’s working. Try measuring your progress and see what’s working, and what isn’t. The best way to do this is to use analytics tools. SEMRush, for example, helps you measure your site against what your competition is doing. Ahrefs helps you measure several things, such as traffic, keywords, and more. It’s not enough to write one good post. You need to keep posting, and do it frequently. The more you update, the more valuable your site is seen as being. Readers are more likely to come back too, as they can see that you’re always updating and up to date. If you’re writing alongside others in writing copy, make sure you’re meeting up regularly to compare notes. Doing so creates more cohesive copy, and creates a flow that your readers can follow. If you’re working alone in your company, you can still collaborate with others. Try joining a writing community such as Paper Fellows to second opinions on your work. You want to hook the reader, and get them hooked fast. That means you can’t spend too long getting to your main point. Because of this, the best thing to do is put your main point in your first few sentences. That way, your readers are hooked and ready to keep reading. Absolutely anything you write shouldn’t be published until you’ve read through it and checked for errors. No matter how careful you think you’ve been, one or two mistakes will always slip past. If you need help with, there’s plenty of help out there. UK Writings, Boomessays, and Essayroo are all excellent editing and proofreading services you can try. If you’ve used other sources to help you write your posts, then make sure you include links to them as part of your content. It shows readers that your writing is well researched, and Google views your content as more valuable. It’s an easy way to get more views. As good as your content is, it can always be better. That’s why so many online tools have been created in order to help you improve yours. For example, Slick Write gives you lots of analytics on your writing, helping you spruce it up before publication. Easy Word Count gives you an accurate word count, Ginger Software gives you all kinds of writing tools and helps you see just how easy your copy is to understand. It’s easier than you’d think to write content both your readers and Google will love. Follow these tips, and you’ll see the readers flooding in. Gloria Kopp is a digital marketer and an e-learning consultant from Manville City. She works as a content manager at Academized company and is a regular contributor to such websites as Engadget, Huffington Post, Big Assignments, etc. Read her Studydemic posts to learn more.